We have several duplex communities managed by management companies (without the inconsistent management and repairs from individual owners). These duplexes normally have yards, liberal pet policies, smaller deposits and management with policies consistent with the way large apartment communities operate. 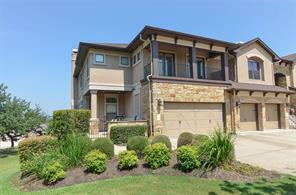 We also have condos, town houses and apartments for rent in Cedar Park, Austin and Round Rock. Our database has over 180,000 duplex, townhome and apartment units. Homeplace Apartment Search is an absolutely FREE apartment locating service specializing in apartments in Austin, Cedar Park, Pflugerville,Round Rock and in all areas of the metroplex. We work with 98% all the apartments in Austin, and have a database of over 180,000 apartments, condos and townhouses. All of our TREC Texas Real Estate Commission licensed real estate agents are have years of professional leasing experience in Austin, and have outstanding records of superior customer service. By contrast, a building comprising two attached units on two distinct properties is typically considered semi-detached or twin homes but is also called a duplex in parts of the Northeastern United States. The term "duplex" is not extended to three-unit and four-unit buildings, as they would be referred to with specific terms such as triplex and fourplex or quadplex/quadruplex. Because of the flexibility of the term, the line between an apartment building and a duplex is somewhat blurred, with apartment buildings tending to be bigger, while duplexes are usually the size of a normal house.